In my last entry, I mentioned a reading/writing challenge that I am undertaking for the year focused on the concept of a journey. This challenge got me thinking about other mediums where hiking and camping is the focus. As a cinephile, I started digging around the internet for a comprehensive list of the best movies on the subject. It didn’t take long before I landed on the list below. As I work my way through the films, I am curious to see how it will impact my writing, thinking, and preparation for the trail. This journey takes grit. It requires a bit of good luck, but it also demands a heightened level of mental, physical, financial, and spiritual discipline. Throughout my life, I have had to exercise all four of these to varying degrees, but rarely have I had to summon the strength of all four at the same time. As I read of the experiences from those who have conquered the trail or those who had to bail, I am beginning to realize what will be required of me to make it all the way to Canada. I will do things I never thought possible. I will be a different version of myself. I will change. Shortly after graduating from college, I read “On Walden Pond” by Henry David Thoreau. It was a life-changing read for me and a genesis for this expedition. While I have every intention of conquering the trail with my dear friend, Elizabeth, I know there will be times when we are alone in the woods. Sure, we will cross paths with other hikers and people in town, but there will also be long stretches where we are alone with just our thoughts. For some, this might be a frightening idea, but for me, it will be a revelation. The world in which I find myself is too loud, noisy and congested. I am looking forward to nature and the sound it encompasses. I long for the baptism and rejuvenation that can only be found in nature. If I am honest, the Sierra Mountains scare me shitless. Post-holing, freezing nights, crossing streams, never-ending wet socks, and any other potential inconvenience is more than any other trial I have had to face on a trail. To combat these nerves, I am hoping to spend some time in the Sierras this spring, readying myself. I have also been doing a lot of reading on post-holing and properly using an ice ax. I find the only way to quiet a restless mind is by experience! A journey such as this seems to give birth to the very idea of self-reliance. It also seems to give rise to the wisdom of others. I’ve spent countless hours reading the stories, watching videos from those who have thru-hiked the trail, and talking with people more experienced than me. There is an important lesson here. Far too often in this life, we find ourselves afraid of asking for help. 2,650 miles has a way of humbling you and forcing you to do things that feel uncomfortable at first but give birth to the possibility of one of the greatest experiences in life. At the beginning of each new year, I undertake a yearlong writing challenge. Last year, I reviewed films that had won Best Picture at the Oscars and the year before I wrote a line of poetry every single day. 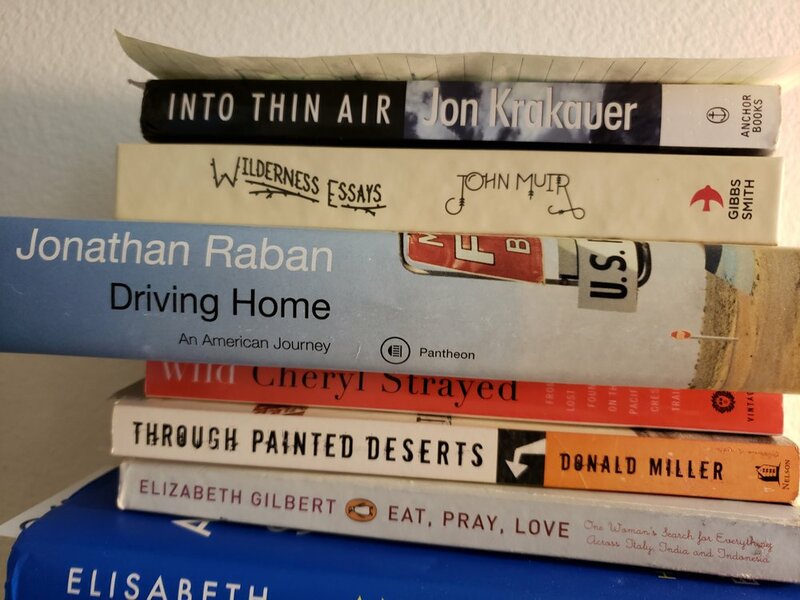 This year and in preparation for the Pacific Crest Trail, I am reading and writing about books that focus on a journey. Those books don’t necessarily have to be about hiking. Rather, they need to focus on documenting a person or group of people’s journey from one point to another. It is my hope that this intense focus will allow me to more deeply think about my reasons for hiking 2,650 miles. I also hope they shape the experience and how I document my trip from beginning to end. 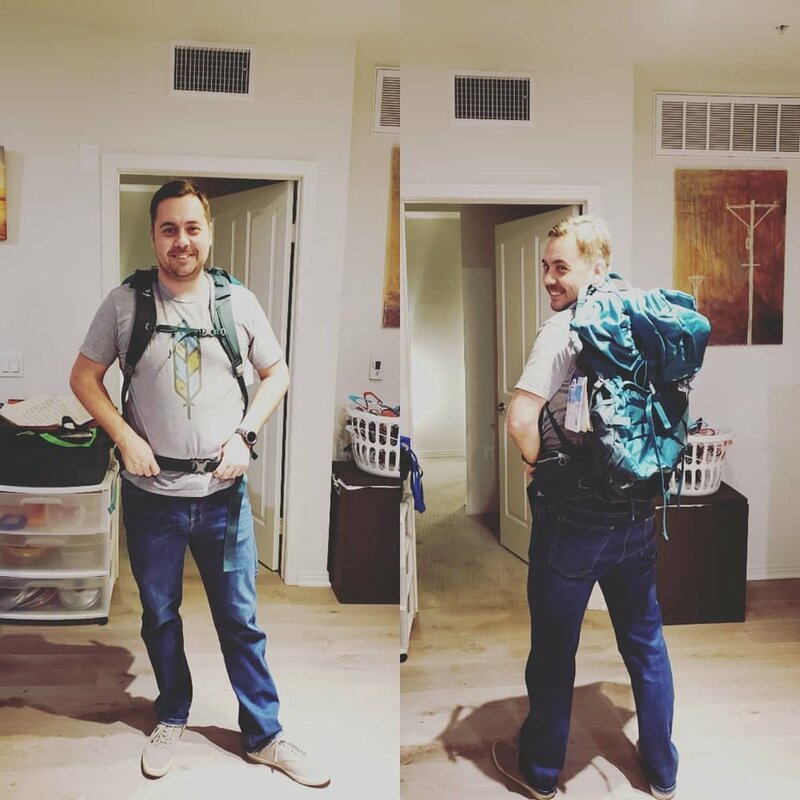 Right before the holidays, I visited the REI in Santa Monica and bought my backpack for the trip. 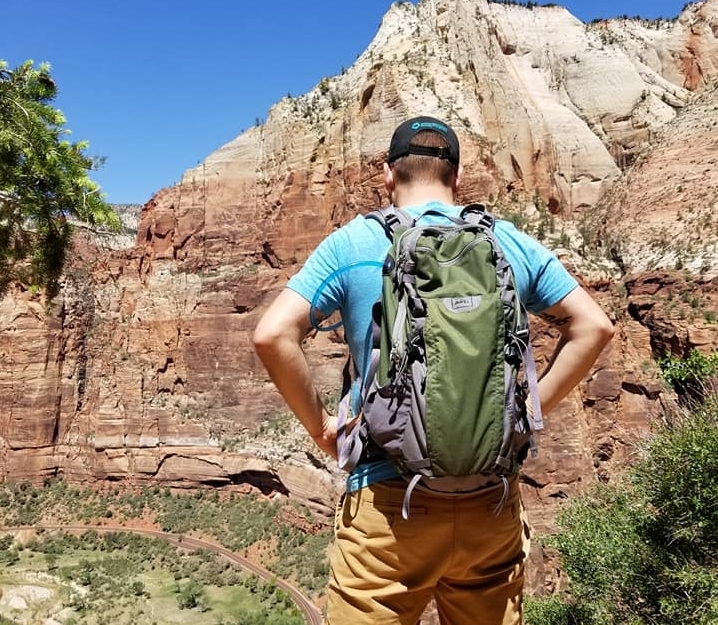 After doing tons of research, trying several packs on, and speaking with other hikers, I decided on the Deuter 50-liter bag. It isn’t an ultra-light bag by any means, but it has great hip support, rests off of my back, and doesn’t move around. Now, my goal is to get it out in the wild and put it to the test. More than that though, purchasing this bag means a lot. Similar to my first gear purchase, a backpack means this dream of mine is becoming a reality. In early December, Brandon and I escaped Los Angeles. We wanted to take advantage of the cooler weather and attempt some desert hiking. We focused our attention on Death Valley National Park. Given its reputation, I didn’t really know what to expect, though those preconceived notions were on the lower side. I didn’t expect to find the bountiful beauty that I experienced in almost every area of the park. From the hill climbing into the valley to the descent inward, I was blown away by the vastness of it all. If you want to take a deeper dive into my thoughts on the hike, please click here. With less than 425 days before my ideal launch date (which I am sure will change), I would be lying if I said I am not a mix of nerves and anxiety. I am nervous about the journey because I haven’t dared to attempt anything like this in my life. I am also anxious like a kid waiting for Christmas morning. This hike has become an all-consuming thought. I think, talk, and write about it daily. It is the light at the end of a tunnel and with each passing day that light becomes clearer and more real. I touched down in the Emerald City on December 20th. Ready to celebrate the holidays with family and friends, this was my first trip back to Seattle in 15 months. As we made our way up I-5 through the heart of downtown, new developments were rising in every direction. Then, there it was, the Space Needle, Seattle’s most iconic structure was beckoning me home. As I looked around, in every direction I saw cranes and signs of life. Love and sadness washed over me at the same time. My city, the place I love so dearly, was not waiting for me. Time had not stood still. Life was moving on without me. I felt betrayal on my part and jealousy at the same time. Then and there, I reaffirmed my promise to get back here as soon as possible. Watching Brandon play the part of a son, brother, uncle, cousin, and nephew is pure joy. He exudes pure love when surrounded by his family and receives it in return. Brandon can often feel like he doesn’t deserve love and finds himself trying to close gaps in the past that may not be completely true. Of course, this is a false narrative and the love of his family proves it. His presence lights up entire rooms and darkness follows when he leaves. One day, I hope he can experience an out of body experience of sorts and truly feel this love for what it is. Of all the things I miss about the Pacific Northwest, the friends I made in my six years there are at the top of the list. During our visit, we were able to gather with a small group of them. Being in their presence felt so good and reaffirming. In many regards, it is as if no time has passed at all. We picked right up where we left off with the same jokes and complaints. Still, sadness washed over me again. My friends have not stood still. Their lives are moving on without me. Again, this solidified my promise to get back here. Even on vacation, I make time for the movies. I am the very definition of a cinephile. On this trip, I stopped by a couple of theatres, but one of them was pretty special. My cousin and I have a yearly tradition of seeing a movie together over the holiday break. This year, we ventured to the Liberty Theatre in Carnegie, Oklahoma. It is the state’s oldest continuously operated movie theatre. Home to three screens and out of this world prices, we were in for a real treat. $4 movie tickets? Concessions for two at $10? You better believe it. Of course, the theatre is beginning to show her age, but it felt great to step back in time for the pure love of cinema. As we walked away from the theatre, I thought of those who built it and those who first sat in her seats. I thought about how proud they must have been for their little jewel tucked away in one of Oklahoma’s small towns. In many regards, I am not the same person who left Oklahoma back in 2011. So many facets of my life have changed, I would argue, for the better. I am living a more honest and open life. My life has purpose and direction. No longer am I satisfied with just surviving. Now, I am focused on living fully. Now, I don’t regret my time in Oklahoma and I am thankful for the opportunity to grow up in the confines of the Sooner State. My 27 years there shaped and molded me for the better. Small town life is quiet… too quiet. Yet, there are few places I crave as much as my parent’s home. There I am afforded a rare opportunity to recharge my batteries. Far from the echoing dings of email and interruptions of work life, I can settle into the quiet and routine. This yearly holiday retreat is so necessary for my well-being, so much so that it has inspired an idea. If I am ever lucky enough to afford something like a cabin in the woods of Washington state, you better believe I will make it happen. Brandon’s niece called me Tio Nathan. My brother’s kids called Brandon uncle. After years of worrying about being accepted… After years of fear where toleration was the best, I could hope for… After years of wondering would I be able to come home for Christmas ever again, it happened. My partner and I were embraced and loved. I can’t fully explain how monumental this moment for was for me. I just don’t possess the words. I have been leaving my parent’s home for 17 years. For 17 years now, my mother has fought back tears. For 17 years, I have done the same. My mother often jokes, “if I knew you were all going to grow up and move away from me, I wouldn’t have had any of you!” Like any good joke, this one has a bit of truth to it. The fact that she misses me makes the moments together matter even more. As greedy as it sounds, I hope there is always someone back in Oklahoma crying for me as I fly away into the expanse. Matt Patterson is without equal. He is a friend who accidentally fell into my life and became an instant brother of sorts. Since our Freshman year of college, we have been stuck together like glue. I cannot imagine my life without him in it. He will be the best man at my wedding and is always the first person I call with good news. To spend some time with him over the holiday season, was exactly what I needed. We always find a way to pick right back up where we left everything that mattered. Four hours to the northeast of Los Angeles sits a national park the size of Connecticut. It is infamous for its summer temperatures which average 115 degrees Fahrenheit making November through April the prime time to visit. In an effort to take advantage of this hospitality, we set our eyes on the Gold Canyon Loop Trail in early December where the temperature was a much more manageable 65 degrees Fahrenheit. As we did, we were treated to a trail that defied our expectations. The Gold Canyon Loop Trail carves its way through rock formations mirroring those found in South Dakota’s Badlands. For the first half of the hike, we carved our way through riverbeds where erosion was king as the remnants of water, rock, and wind came together to give this formation its unique features. In every direction you look, there are awe-inspiring vistas of multi-colored rock formations, mountain ranges, and the wide-open sky. This creek bed then opens up to something unexpected; a river bed of sorts. A landing spot for all that water to rest. This is where we took a break before conquering the backside of the trail which was a repeat of the first half of the hike except this time uphill with taller rock formations to pull you forward beckoning you higher and higher. Once you reach the tallest point on the trail, you are treated to a visual feast giving firm proof to why this place is important and worth protecting. We drove out to Death Valley and back to Los Angeles in one day. This meant 8 hours in the car. For some people, I know this feels like a daunting and unwanted task, but not for me. I love the open road like some men love their wives. On those stretches where you can go long stints without seeing another car and you have nothing to entertain your senses except mountains and the soundtrack of your choosing, I find joy and comfort. I am myself fully in those moments and crave them like my next breath. I didn’t know what to expect from Death Valley National Park. Of course, given its name, its reputation proceeds it. Coming from the Pacific Northwest and with the experience of hiking among the trees, mountains, and streams of Washington, I didn’t know how I would describe such a place. My expectations were low… I couldn’t have been more wrong. I found such comfort in the desolation. Community in the isolating, rough terrain. I found hospitality in the inhospitable environment. I found a piece of myself in places I didn’t expect. I have said it before and I will say it again. These places important. One of the things that makes me proudest to be an American is our National Park System. I am proud that we have collectively agreed that these places are special and worth protecting. I find comfort knowing that we have decided to hold nature over profit when every other piece of our society demands differently. Finally, one of my first dates with Brandon was a hike and he had a pretty miserable experience. After that trip, I was absolutely sure he would never go hiking with me again. Now that we have moved to California, he has joined me on trips to Sequoia and Death Valley. It is an absolute joy to watch him discover his own hike. He becomes 15 years younger as he plays in the dirt, climbs on rocks, and watches animals and insects alike at home. If I can keep discovering places like this with him for the rest of my life, I will consider myself the luckiest man alive. I have lived in Los Angeles for over a year now after having moved here from Seattle. In that time, I have met some fantastic people; people that I am proud to call friends. One of our worries about moving down here was making friends. The older a person gets the harder it seems to form new relationships. We have been extremely lucky and now find ourselves in a small, but tight-knit group. On April 11, 2020, I will force myself to walk away from these relationships. I know if they are meant to be then they will not succumb to the strain of distance. Still, I can’t help but find myself filled with some hesitance about allowing people to get too close in fear that my leaving might hurt them. I want to continue working in the nonprofit sector when I return to Seattle. Beyond the sector, I have no clue about the agency or the capacity. For me, this ambiguity is a little terrifying. I know the causes near and dear to my heart; cinema, music, youth development, suicide prevention, and homelessness. I also know that I am ready to move on from fundraising. I would really like to dive back into the world of communications and marketing. Between UCO, Kent Youth & Family Services, and Skid Row Housing Trust, it has become abundantly clear to me where my passion lies. Finding that “perfect” job and when to pour my energy into the hunt is sure to be something that consumes my mind between now and the PCT. In fact, I assume it will be something weighing heavily on my mind with every step I take northward. Restless. I am constantly restless and fearful of settling. There will be plenty of time to sleep when I am dead. Long before the hike begins, I can’t help but think about what comes next. What is the next grand undertaking to be pursued after completing 2,650 miles between Mexico and Canada? That isn’t something I can answer at the moment. I do know I am ready to call Seattle my forever home. I am ready to buy a home and to find a nonprofit organization where I can invest serious long-term energy and focus. I also know that I will always have a wanderer’s heart. Something and somewhere will always be pulling me forward. Figuring out how to feed that feeling is yet to be decided. The world is a noisy place. One of the reasons for taking this challenge on is the opportunity to quiet some of that noise. For much of 2020, I will be without cell service. I won’t be consumed by news alerts and the daily deluge of our continuously connected world. This is both a joy and terrifying. It is terrifying because I want people to care. Despite my best intentions, I want likes, shares, and comments. No matter what I do to quiet my mind, the feeling remains. One of my great challenges between now and the end of the hike is finding carelessness for caring what the outside world thinks. To do so, might be as hard as the hike itself. Gone for six months, I can’t help but think about all the things I will miss. Graduations, birthday parties, birth announcements, weddings, funerals, and the 2020 Election will be missed by me. The prospect of missing that last one excites me to no end. The presidential election of 2020 is sure to be a nasty one and I would rather escape all of the vile and ugliness. As a political junkie, that isn’t an easy sentence for me to type, but here we are. Money and finances are like anchors meant to keep us in our place. Every time we get the itch to break from the normal or routine these anchors pull us back. It is a sad state of affairs that only the wealthy seem to have the option of self-exploration yet have too many responsibilities to attempt such a journey. Well, friends, I am living proof that those of us in the middle class can take off work for five months and do nothing but hike. Thanks to some careful planning, taking two years to pay off my credit cards and saving every spare dime, money, and finances will not be a roadblock on my path northward. Without a doubt, these challenges will always be on my mind, but they will not keep me from chasing a dream. 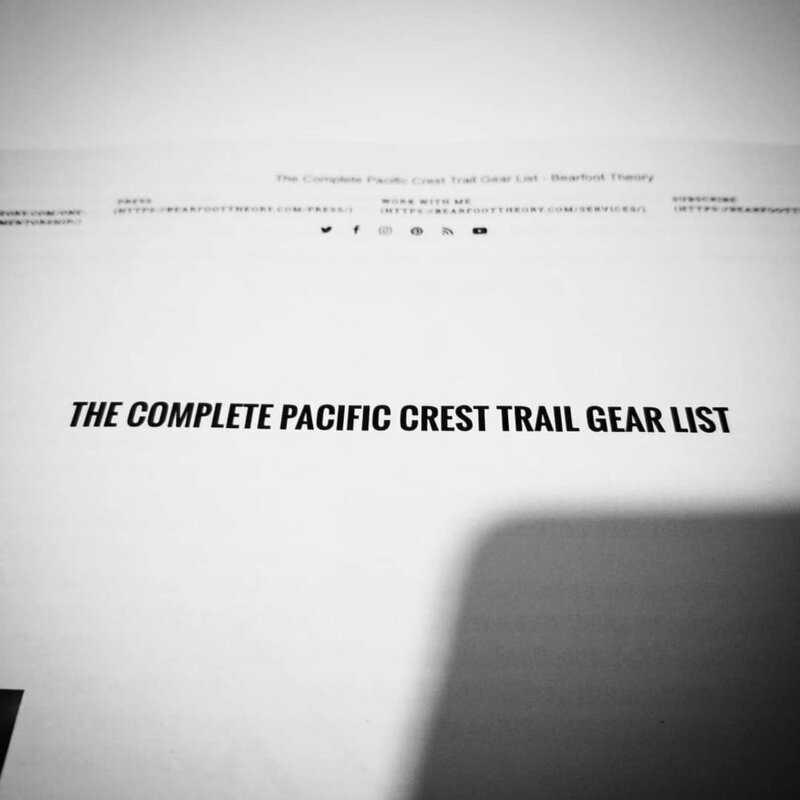 For the last six months or so, I have been following bloggers, vloggers, and photographers who are a part of the 2018 Pacific Crest Trail Class. I have watched with intense curiosity as they prepared, hiked, and captured moments of both extreme highs and depressing lows. Over and over again, I have found myself jealous of what they were seeing and doing. I wanted to see what they were seeing and do what they were doing. In 534 days, someone out there will be thinking the same thing about me. That’s a tremendous responsibility and one I do not take lightly. In 2013, I graduated from Seattle University with my master’s degree and decided to take a trip to Brazil. In preparation for that trip, I might have done a total of 10 hours of research before I felt comfortable. On the other hand, my prep work for the PCT takes a couple of hours of my time every week. I don’t write that begrudgingly. Rather, it stands as a symbol of the intense focus that I think will be needed to see this journey through to the very end. Last month, I met up with a friend and let him know about my plans for the future. He was taken back that I would walk away from a career, relationships, and responsibilities to hike. Since that conversation, I have been thinking a lot about what the world expects of me. Over and over again, I have chosen to defy the norm. I haven’t done so it any monumental or anarchistic sort of way. No, instead, I have chosen to live a life that is professionally selfless and personally selfish. The balance between the two can feel like a see-saw but trying to find the sweet spot where both sides are held even in the air is one of my great joys. So, yes, I am quitting my job, saying goodbye to friends, putting a pause on responsibilities and hiking for a little while and I don’t really care what the world thinks. From Mexico to Canada, there are various spots along the trail where I will retreat to buy food and restock supplies. Something that makes the PCT special is the ability of those who are not on the trail to offer some assistance. This can come in the form of complete strangers called “Trail Angels” who offer food, water, and/or a place to rest. It can also come in the form of family and friends who choose to mail you things. In the next couple of weeks, I will be publishing a Google Sheet that will allow people to sign up to mail items, where to mail them, and when I should be there to pick them up. I am overly excited to see how people respond to this request. As we left Los Angeles during rush hour traffic, The Lumineers and their song “Sleep on the Floor” silenced the conversation in the car. The lyric, “Cause if we don’t leave this town, we might never make it out alive” rang truer for the moment than any other could attempt. I needed to escape, at least for a little while. The weight of LA was beginning to break me and the only thing that could redeem would be a trip up California’s historic Highway One. The next morning, restoration began early as we watched the sunrise over the Pacific. Given the Pacific Ocean lines the west coast of the United States, it may not be your first choice for a sunrise. The sun doesn’t necessarily rise above you. Instead, you have to look behind. Still, the mixture of salt in the air, rolling hills, the vastness of the ocean, and watching the sky explode with color was all that I could hope for and more. Settled into the moment, we continued our journey north. Winding roads hugged the coast, as we drove in and out of wooded, exposed, and beach areas. The sheer beauty of it all is hard to describe. On several occasions, we pulled off the road and tried to fit what we were seeing into a picture frame. I have since uploaded those pictures to my computer. Despite my meager talents as a photographer, nothing I captured did justice to what I was experiencing. Hours on the open road soon led us into the heart of Monterey. After checking into our hotel, we headed for the Cannery District. Like lots of former industrial districts in towns across America, the Cannery District has been repurposed. 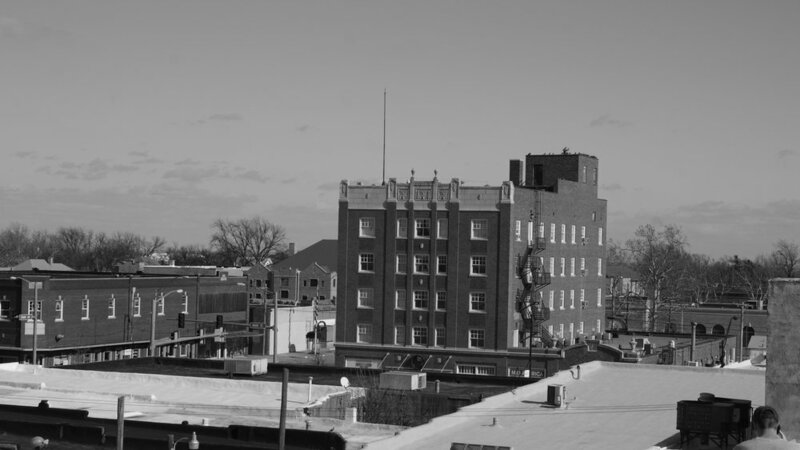 Once home to a lively fishing, smelting, and canning community, the district is now home to shops, bars, restaurants, and residential living. This has given new life to the area and made it economically viable again. Of course, none of those thoughts were going through my mind at the time. All I could think about was food, cocktails, and taking in the scenery; which there are ample opportunities to have all three of those desires met. Before this trip, I had not been to San Francisco since I was a few months old on a cross-country trip with my family. Needless to say, all I knew about San Francisco is gleaned from movies, television, books, and other random corners of the pop culture universe. Returning and ready to experience the city with a fresh set of eyes, filled me with an indescribable excitement. When this trip ended, and it was time to return to LA, it was easy to say that I had found a new city to love. When you go to St. Louis, you see The Arch. When you go to Seattle, you see the Space Needle. When you go to San Francisco, you go to the Golden Gate Bridge. Our Uber driver dropped us off on the far end and we walked the expanse back toward San Francisco. As photographers, we were in love. Before and in every direction was an opportunity to challenge yourself and find a unique angle. As a human being, I marveled at man’s ingenuity and creativity. In an odd sort of way, the Golden Gate Bridge made me proud. It was proof that man can do massively impossible things when we set our minds to it. The friend I took this trip with is big into the Tiki scene. For me, this means a lot of delicious drinks, but also means searching out Tiki Bars in every city we visit together. In San Francisco, this meant a trip to the Tonga Room and Hurricane Bar in the basement of the Fairmont Hotel. As you walk into the lobby of the hotel, it is hard to believe a kitschy tiki bar has any place in a building so exquisitely designed, yet as you take an elevator down a few floors, there it sits in all of its irony and juxtaposition. Somehow, it works. Delicious drinks, attentive servers, and a pool keep you occupied. As you walk out the door and back into the hotel lobby with the intention of writing about your experience, you realize this is an essential and quintessential experience; something that must be done rather than read. If I have one regret for this trip, it’s that we didn’t get to spend a ton of time in The Castro. Beyond a few landmarks and a quick bite to eat, I wasn’t able to give one of America’s most iconic LGBTQ communities a lot of attention. When I return, I plan on devoting as much time as I can to the neighborhood. Of course, no trip would be complete without a little disappointment and the Mystic Hotel royally disappointed. A friend of mine from Seattle told us about this spot featuring a speakeasy and a secret drink if ordered would grant you access to an Uber Black car which would shuttle you to another location. Overly excited, we visited Mystic Hotel with the intention of making some magic happen. After waiting 45 minutes for our order, we decided to abandon ship. If the secret drink thing still works, I have no idea. From what I read online, this one may have been retired. As we made our way back to Los Angeles, I couldn’t help but think about the place I want to make my forever home, Seattle, and how it compares to San Francisco. Experiencing the Bay Area filled me with the same level of excitement that I felt when I visited the Emerald City for the first time. The intense focus on neighborhoods, nature, and experiences above all else felt familiar. Driving away, San Francisco made me long for Seattle. I can’t wait to call the Pacific Northwest home again. When it comes to gear, you have to start somewhere. For me, I have chosen to focus on my backpack first. For my first gear purchase, I bought a Smartphone Backpack Shoulder Pocket Strap. This little thing will be able to hold my phone, water, or anything else I need quick access to out on the trail. This little convenience means a lot to me. As my first purchase, it was my first step toward making this wish of mine reality. Now, I either continue accumulating gear or I face buyer’s remorse which becomes a higher level of disappointment. I am choosing to go all in! When I decided to hike the Pacific Crest Trail, I knew instantly that I had to get into better shape. At the beginning of this journey, I weighed 207 lbs. Now, I weigh 196 lbs. with 16 lbs. to go to reach my goal of 180 lbs. I feel so accomplished working out five days a week, lifting weights, riding my bike, running, and of course, hiking. I can feel my confidence and endurance increasing with each passing week; both of which I hope to serve me well out on the trail. The greatest cliché I have heard in relation to the Pacific Crest Trail is the 2,650-mile journey begins with one step… To which I would add, then another, and another, and another. 4.6 million steps, give or take a few, gets you from Mexico to Canada. At first, this can seem like a daunting task particularly when you consider these steps are taken through a desert, mountain passes, uneasy rock, mud, sand, snow, bridges, roads, and water. When that seems impossible, I remind myself of what is waiting for me on the other side; a life profoundly changed by a journey few have dared and most see as too great of a challenge. · I want to avoid as much of the desert heat as possible. · The fire season in the west has gotten longer, if I want to do the entire trail, I need to make it through the northwest before fires break out and spread. · I will need another full paycheck from Skid Row Housing Trust. · I want to get back to Seattle by the end of September. Of course, this means my entire schedule for this trip has been shifted forward by 20 days. In my mind, I don’t see this as impossible. It just requires careful planning and a new sense of urgency. On April 11th, 2020, I am heading north. In the months leading up to that date, I am placing all my earthly possessions in a moving truck, winding down my job, cherishing each moment with Brandon, saying goodbye to friends, disconnecting myself from Los Angeles, turning my life over to a hiking trail, and embracing the idea of life in Seattle again. 2020 will be a year of monumental change for me. It is also a moment in time that has become a consuming thought. I have never wanted anything so badly as I want this. I am going North with all that I have. On May 1st, 2020, I will begin hiking the Pacific Crest Trail from Mexico to Canada through California, Oregon, and Washington. This ongoing series is an attempt to document the entire journey from beginning to end. Hundreds, if not thousands of hikers, set out to conquer the Pacific Crest Trail on an annual basis. As I contemplate this journey, I can’t help but think about how other hikers will treat us. Will we be welcomed into the community? Will we experience the kindness, friendship, and support that makes the Pacific Crest Trail famous or will our experience be different? Beyond the condition of the trail and our bodies, nothing is more important to me than building relationships on this journey that will last long after the hike is completed. I, perhaps wrongly so, assume the journey for me will be much different than Elizabeth’s hike. We aren’t the same person. We aren’t hiking at the same experience level. We aren’t the same gender. We will have different needs. Those who we interact with will respond to those differences. Will that response be a positive or negative experience? For Elizabeth’s sake and the sake of women everywhere, I hope everyone treats her with kindness, respect, patience, and understanding. This includes me. Is the Pacific Crest Trail going to be nothing, but a sea of white males or are we going to encounter diversity on the trail? I am not looking for a homogenous experience. I want to be surrounded by people of different ethnicities, genders, identities, socio-economic classes, and backgrounds. To experience something other than that, would be a true disappointment. It would lead me to ask some serious questions about how we make hiking and experiencing the great outdoors a more diverse experience. There is no tactful way to approach this next topic, but it has been on my mind. Much of the Pacific Crest Trail stretches through vast and remote spaces without access to town centers and facilities. This means digging a hole and taking care of business. This isn’t something I have ever done, and it makes me really nervous. I have questions about privacy, being sick to your stomach, burying/carrying out toilet paper, lookouts… Please, someone help! 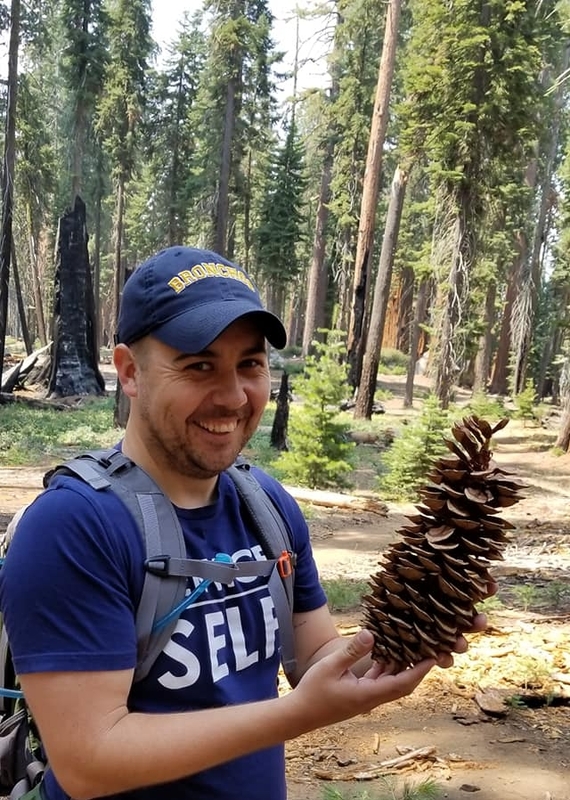 I know Sequoia National Park isn’t one of the parks you hike through on the Pacific Crest Trail. Still, it felt like the perfect place to begin my training. Over four hours, we gained 1,900 feet in elevation and were treated to one of the real gems of the US National Parks system. As I moved forward, I am planning on visiting more of California’s parks in preparation for the PCT. Then, in May of next year, I am planning on dedicating the first weekend of every month to hiking and camping. When the trail calls in May of 2020, I want to be ready. Living in Los Angeles, you can lose sight of nature. You can fool yourself into thinking that life is meant to be concrete, crowded streets, humming automobiles, and emergency sirens. 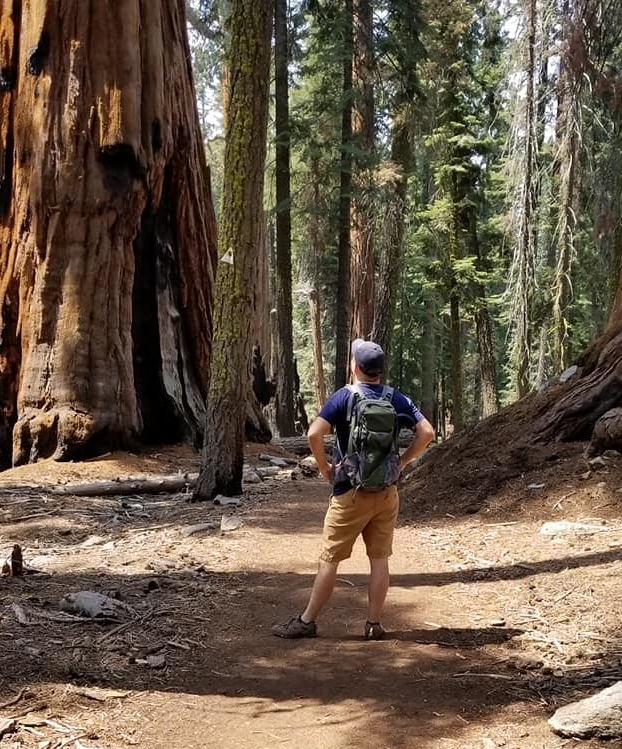 It isn’t until you visit a place like Sequoia National Park and step on a trail like Giant Forest Loop that you are reminded of what life should really be. It should be fresh air, a sense of quiet that startles you and reconnecting yourself to something simpler. You should find yourself standing on the shoulders of giants as you gaze up and around trees of inconceivable mass. You should feel small and insignificant in the most fantastic of ways. Standing next to one for an obligatory photo, a thought like this runs through your mind, this is what it must have felt like to walk amongst the dinosaurs. You should be reminded life is more than deadlines, spreadsheets, and meetings without purpose. Of course, this park is famous for its giant residents. If you are serious about hiking, this may mean swimming through crowds of non-hikers for the first couple of miles. Here, I recommend choosing your attitude. Relish in the knowledge that kids aren’t focused on tablets, parents on cell phones, and the elderly with their televisions. Instead, they are free from wires and USB connections. They are with nature. For just a moment, they are holding onto something more important. As you break free from the crowds, the trees give way to a more traditional forest. The elevation begins to rise, and this hike starts to feel like a challenge. On our visit, we hiked for 10 miles and gained some 1,900 feet in elevation. Four hours of stopping to take in vistas, admire lizards, listen to the singing of birds, and rest, filled my soul in unimaginable ways. Sequoia challenged me in ways other trails had not. It gave me something to love about my time in California. For that, I will be eternally grateful. Before returning to the car for a three-hour drive back to LA, we soaked up more silence and inspiring vistas. Then, we were treated to something rare. Over the course of the next hour, we made visual contact with five different black bears. It was both terrifying and exhilarating. As we stood at a safe distance, I was reminded that we were guests in their home. We were the intruders. They and their kind were here long before us and, if all goes as planned, will be here long after us. Then and there, I decided to end our temporary holiday. The bears deserved to get back to their normal lives. Being stuck in preparation mode is harder than I thought it was going to be. 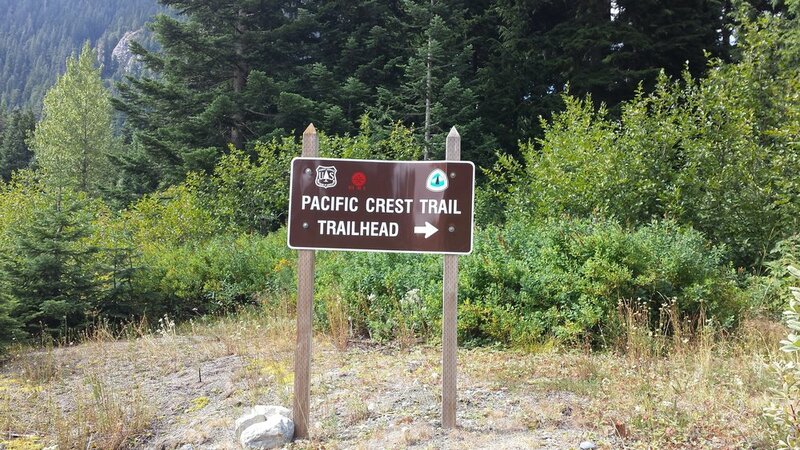 Hiking the Pacific Crest Trail has become a consuming thought. I read blogs, articles, and first-hand accounts. I watch videos from those who are or have been on the trail. I research, research, and research some more. The anticipation of the beginning has become a lingering thought. I don’t want to wish my life away, but I am ready for 2020 to be here. Then I am reminded of a simple thought. I will soon be without my partner for 5 months. Sure, there are lots of reasons I don’t leave next season; financial, work, civic obligations, preparation… Despite all of those, the one that keeps me grounded in the present is the thought of not being able to talk to Brandon every single day. Such a simple thing, yet something I cherish dearly. As part of my research, I have been listening to hiking podcasts. 99% of the stories are about people looking back fondly or those currently on the trail. They all speak of the unmatched experience that comes with hiking the Pacific Crest Trail. Then, there are stories of those who don’t finish. There is a myriad of reasons people give for getting off the trail: physical pain, loneliness, financial reasons, family situations, etc. These reasons weigh heavily on my mind. I am choosing to take this journey for a couple of reasons. I am hoping to raise some funds for Rotary’s effort to eradicate Polio, but I am also hoping to learn a whole lot about myself. The thought of not finishing feels like a betrayal to both of those aims. While I know I have no way of controlling the future, I know I possess every intention of seeing this journey through to the very end. My motivation? Because some things are just bigger than me. By no stretch of the imagination, am I a morning person. I am a busy person, though. I prefer to workout after work, but thanks to my schedule that can sometimes be impossible. So, I have started getting up every morning to workout. I am doing this for a few reasons. I am trying to lose 20 lbs. and get down to 180. I want to boost my confidence. Finally, I want to be properly prepared for the trail. Hiking 2,650 miles will the most arduous physical journey of my life. Now, is the time to invest in me by focusing on my legs, back, stamina, and endurance. My hope is early mornings will mean a more enjoyable experience free of those injuries that seem to sideline so many. Finding, accessing, and carrying water is my number one concern right now. Food is secondary. The hunt for water in the desert of California weighs heavily on my mind. I live in LA and I know how hot it can get out there. This fear to overcome leads me to a request for anyone who stumbles across this post. Does anyone know of an online guide to finding water on the trail? If so, would you mind including a link in the comment section below? I would adore you for it. Currently, I am 34 years old. I will begin hiking the PCT at 36. As of right now, my knees, feet, and back hurt if I over exert myself. The fear of my body betraying me weighs heavily on my mind (so much so I have mentioned it twice here). So much of what would end this journey feels like it would be beyond my control. My body feels like something within my realm. I know this is foolish, but if my body were to betray me and force me to quit, I feel like I would be letting myself down. According to the countdown app on my phone, it is 1 year, 297 days, 1 hour, 49 minutes, and 06 seconds, before I begin making my way north via the Pacific Crest Trail. Since deciding to tackle the trail, I have spent a lot of time thinking about getting into shape. As you can imagine, walking from Mexico to Canada is and will be a taxing endeavor. Between now and launch day, I plan on becoming religiously devoted to the gym with a strong focus on cardio in an effort to increase my stamina. As someone who has had a love/hate relationship with his gym membership, this should be fun (typed sarcastically)! With each passing day, my anxiety rises. A part of me feels like a kid waiting for Christmas morning. Another part feels the immense pressure of my decision. The whole exercise has become consuming. There isn’t an hour that passes where I don’t think about the hike and everything that needs to be done between now and then. As a planner, this is a lot to handle, but it is also where I shine. Before long, I will have my gear, water/resupply points selected, and trip mapped from beginning to end. I sort of relish the chaos leading up to that point in time. When November 2020 arrives, I will be finished with the Pacific Crest Trail. I will find myself back in Seattle, WA. Months before, Brandon and our things will have made their way back home. As life on the trail comes to a close, I will begin life anew in the Pacific Northwest. While I have enjoyed my time in LA so far and have lots I still want to accomplish over the next two years, the thought of getting back to Seattle keeps me going and motivated. I haven’t done a lot of long-distance hikes in my life. Without a doubt, I have never tried to traverse a country from one border to the next. I am an avid hiker though. In order to prepare, I plan on spending the next year doing as many day hikes as possible to get my legs into shape. As I approach one year out, I plan on doing more weekend and multi-day hikes, in an effort to continue getting my legs ready and to test my gear. So, if you want to go camping and for a long walk, let me know! Taking off four to five months to hike doesn’t feel like an escape from reality. Rather, it feels like an opportunity to redefine it. My life doesn’t have to be put into a box or placed on some path for which there is no escape. It can buck the norm, trends, and expectations. It can be mine for the shaping and molding. To realize this at the age of 34 is extremely freeing. Sure, debt and responsibilities will always be in the back of my mind, but for a little while, they won’t be the most important things in the world. Soon, all I will have to worry about is putting one foot in front of the other and enjoying the journey. Different places, pieces, stories, and people comprise all that I am. Everywhere I go, I carry those destinations, experiences, moments in time and relationships with me. They stand as a memento of the past beckoning me to be present while inching toward the future. Even when traveling alone, I don’t travel alone. Brandon, friends, or complete strangers could be void from my view, still, I am not alone. They go with me wherever I go, and I love to go. Yet, I am often reminded of where I need to be. In the presence of my family, I am reminded of my place and purpose. If they are a puzzle, I am but a mere piece. Together, we work. Apart, we don’t make much sense. From a distance, I can stand back and revel in the beauty. In the course of my life, I have often felt as if my piece were missing by choice. Nothing causes me more angst than living with this knowledge. At times, it is more than I can bear. Of all the places I have been lucky enough to call home, Seattle is where I feel most myself. In the limits of the Emerald City, there is no trying for me. Living there, for me, is so effortless, free, and honest. While we are currently separated, there is a date in the not too distant future when we will join together again. While Los Angeles isn’t literally killing me, being away from a place that brings me such peace and comfort is to live with an anxiety I have never known. So, I live with these experiences and a wish. I wish I could have it all. I wish I could travel, have the experiences of calling several places home, my family, the opportunities of Los Angeles, and the sheer beauty of Seattle boxed up in one package. Then, I think about how selfish that is. I am not meant to have it all. I am meant to long and learn from that piece of the human condition. There is still much to learn about myself and the place I want to call my forever home. There is still much to learn about the place where I lived for 27 of my 34 years. Nothing has made that point clearer to me than the election of Donald Trump. Somewhere along my gravitation toward the orbit of a major city, I lost touch with the trials and tribulations of America’s heartland. While I will never fully understand what drew them to such a person, I am willing to listen and learn. I am willing to have a conversation and find common ground. I think this is the only way we can heal some of the scars and chasms that have opened up between red and blue states. Of all my reasons to travel, the prospect of making new friends excites me the most. Most of these friends are just temporary; something that can just be held for a few hours. Still, they fill my cup and add to the story of my life no matter the level of engagement. I will never be able to remember every name. I won’t be able to remember every word. I can barely hold the faces in my mind. Yet, they matter to me, because they added to my story. I left Oklahoma seven years ago. The next time I return I want to do Oklahoma City on my own terms. I don’t want to be relegated to a pull-out sofa. I want to experience OKC as a tourist would. I want to drink in everything that it has to offer. I want new restaurants, bars, points to gather, and opportunities to cherish. Maybe then, my opinion about the place I once loved can change for the better. Even after all that. Even after a monumental time experiencing a city I once called home in a new way, I will return to a home on the “Left Coast.” Because this is where I feel most at home. From LA to Seattle and every place in between, this is home. It is where I want to marry. Start a life. Do good work and then one day pass on. Yet, I will still go and go often, because this life is best lived somewhere you have never been before. Every relationship, both platonic and romantic, has a moment where one person looks at the other and says, “I need you to do this with me.” My best friends and my boyfriend have almost always said yes without any hesitation. Years and years ago, I asked Elizabeth Jones to join me on a journey from Mexico to Canada along the Pacific Crest Trail. Without hesitation, she said yes. Time passed quickly, and life got complicated, so we had to put a pin in our trip. Then, a window opened, and we were afforded another opportunity. Without hesitation, she said yes once again. Without hesitation, Elizabeth is one of my best friends. Joining a local Rotary club was one of the best decisions I have ever made in my life. Through my club service, I have made lifelong friends, met local movers and shakers, fallen in love with my community, and found people I consider family. Rotary also cemented within me this idea of service above self. By making $10 donations every month, I am playing my part to eradicate Polio from the face of the earth. I want to use the experience of hiking the Pacific Crest Trail to do even more. I want to raise $1 for every mile hiked and put it toward ending Polio. If you want, you can support my GoFundMe campaign below! Thanks for the consideration. At the age of 34, I can confidently say I don’t have it all figured out yet. In the same breath, I can say I am beginning to figure it all out. I know this life is too short not to do something you truly love. It often takes courage and conviction to conquer some of those biggest mountains. I hope I can use this experience to solidify a plan for the next great venture in my life. Of all my causes and passions, nothing excites me like cinema. It has taken me 34 years to realize the transformative power of film. I hope to use this trip to ponder the next big thing and a way to do what I truly love. I don’t think a single person who contemplates a journey as arduous as this one does it without some hope of finding themselves on the trail and in the pathless woods. I go to the woods to do just that. While the total sum of my life has become a journey to find myself, I sincerely hope this trail and the celebration at the end will deliver me to a new level of understanding. I know that’s a lot of pressure to put on an experience, but I truly can’t hope for anything less. 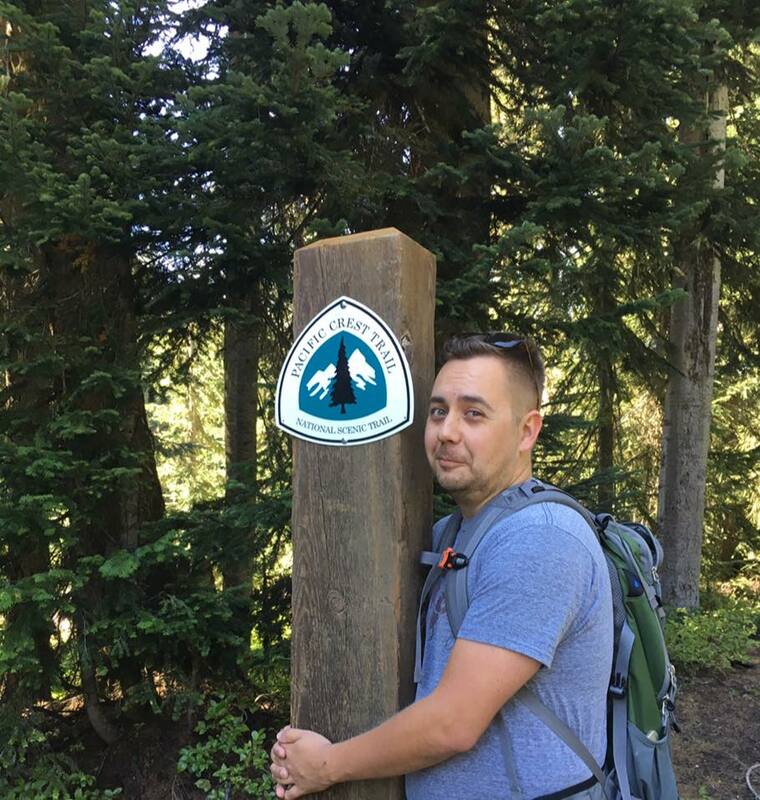 There is plenty to be nervous about when hiking the PCT. Recently, I have been obsessed with the dangers of Rattle Snakes. Yet, nothing holds my fear in place like the thought of what comes after the hike. Putting my life on pause for 5-6 months is hard enough. Trying to hit play again terrifies me. I don’t know how to shake this fear beyond just doing it and crossing those bridges when I arrive. Still, my obsessive mind won’t let me rest. I assume this will be a topic we discuss often. Such a simple question, yet it gives birth to a thousand complicated answers. The simplest might be for the experience. I am choosing to hike over 2,600 for the experience. Still, it is more nuanced than that. I want to test myself. I am hoping to learn invaluable things about myself. I am hoping this is the genesis of something grand; a defining moment in my life. I want this to be ground zero for a significant change; a point in time where I never doubt my abilities again. Well, it isn’t happening right now. We aren’t scheduled to leave until May 1, 2020. Beginning the planning process two years out will give me plenty of time to train, plan, and get my life in a comfortable spot. Hiking the PCT isn’t a free experience and neither is putting your life on hold. Two years allows me some time to grow more comfortable with the entire endeavor. When I hit the trail, I want to only worry about the miles before me and taking advantage of every opportunity. I don’t want anything else clouding my mind. In no certain order, I am worried about the following: hiking for four months, getting sick or hurt, having enough money for the trip, not seeing Brandon, finding a job when the journey is over, food, water, shelter, wilderness hiking, camping, carrying gear day after day, buying the right gear, using the gear properly, being away from family and friends, assimilating back into the real world, and taking advantage of the experience. How to even begin preparing for such an exercise? This is one of the most daunting challenges. Luckily for me, the world is now filled with resources on everything you need to know about hiking the PCT. Books, articles, blogs, and more are currently serving as my education. Over the next year, it is my hope to take in as much information as possible. Over the same period, it is my hope to do as much hiking as possible to get my body ready for such a feat. As I get closer to the actual launch day, I am hoping to ramp up all these efforts. This is something I think about daily. What does arriving in Canada look like? Who will I be at the end of that journey? How will I look at society differently? Where will my journey go after the trail is finished? The answering of these questions is why I truly want to take this journey. I cannot wait to see what is on the other side. I cannot wait to see what version of myself is on the other side. As I begin this process, I want to thank you in advance for joining me on one of the most daunting exercises of my life. It should be one hell of a ride. To support my GoFundMe Campaign, click HERE.